for individuals, small groups, teams and goalkeepers. I come from a long line of soccer players, following in the footsteps of my father and both of my grandfathers. 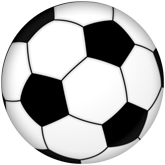 I have played at all levels from schoolboy up to semi-pro leagues in the North-East of England. As a teenager, I played in the same youth team as Bryan Robson, who later went on to captain Manchester United and the English National team. I began coaching in 1986 while working as a part-time Youth Leader in Nottinghamshire, England. 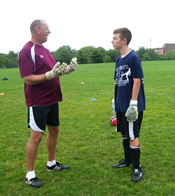 I worked as Director of Camps on summer camps for MLS Camps from 1996 to 2002. My coaching has brought me to Texas, New York, New Jersey, Georgia, Tennessee, Connecticut, Wisconsin, Illinois, Maine and Massachusetts. I worked as Residential Coaching Consultant for Medway Y.S.A Fall 1997, and was Player Development Officer for Westford Y.S.A. from Spring 1998 to Spring 1999, Marblehead Y.S.A. Fall 1999, and Sharon Y.S.A. from Spring 2000 to Spring 2001. I was voted Coach of the Year for Massachusetts by MLS Camps in 1999. Since 2002, I've worked as a freelance coach and clinician. John wears Aviata goalkeeper equipment. Visit www.aviatasports.com and enter the code JG 15 to receive 15% discount on all equipment.